Canada doesn’t dread the wintertime — it celebrates it! Don your winter gear and make your way into the great, snowy outdoors where the best of season is celebrated with a fun festival. Think warm cups of cocoa, blazing bonfires, fantastic ice sculptures, skating, sledding and snow, snow snow. 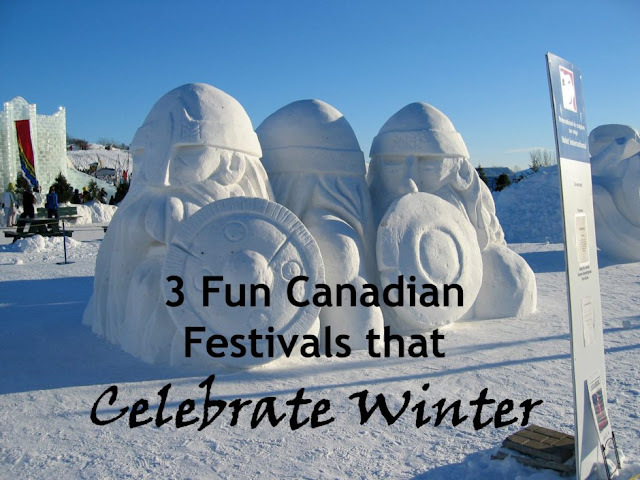 Here are three popular Canadian festivals that bring out the best of winter. The Carnaval de Québec has been celebrated annually during the days leading up to Fat Tuesday since 1894, and it’s recognized as the biggest winter carnival of all. Enjoy over two weeks of fun, family-centered events, including night-time and daytime parades winding through the historic upper city, which is decorated with colorful lights and elaborate ice sculptures. Make sure to take a family photo with the Bonhomme Carnaval, a jolly white snowman, the official mascot of the carnival. Be a spectator or participate in outdoor sporting events galore, including snowboarding, ice canoe races, snowshoeing, hockey and dog sledding. Celebrate winter in Canada’s Capital during Winterlude, three activity-packed weekends in February that celebrate Ottawa’s snowiest season. Play a game of pick-up ice hockey, indulge in the culinary events created by some of the capital’s best local restaurants, see the amazing ice carvings by artists from around the world that fill Confederation Park in downtown Ottawa. Kids will love Snowflake Kingdom, a truly unique children’s snow playground. One of the highlights of winter in Ottawa is the Rideau Canal Skateway, the world’s largest naturally frozen ice skating rink. Montréal en Lumière celebrates the joy of Montreal in the winter with a light-filled festival that combines the performing arts, gastronomy, free outdoor family activities, and a full night of fun during Nuit Blanche. Music, circus arts, song, theater, dance…every facet of culture glitters in Montreal during the Arts Program, with a spotlight on emerging artists from home and abroad. A pop-up outdoor site features braziers, shows, activities for children, outstanding lighting design, all showcasing Montreal’s renowned party spirit and flair for entertainment. Every year, the festival kicks off with Nuit Blanche, an entire night, from dusk to dawn, of 200 mostly free activities in the great outdoors or under the spotlights.